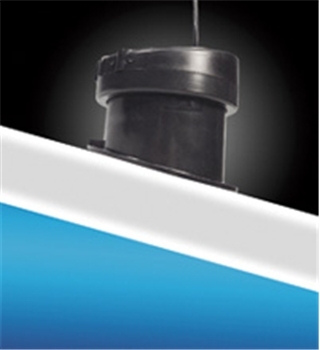 The Airmar P79 8 Pin in-hull transducer easily adjusts to hull deadrise angles up to 22 º. This ensures that the beam is vertically oriented to receive echos, resulting in accurate depth readings. 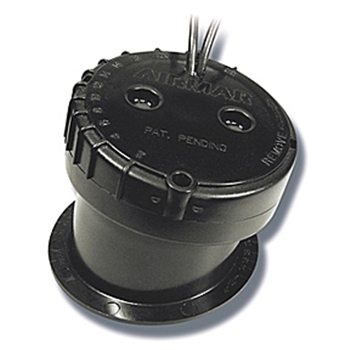 Unlike traditional "puck" type transducers, the Airmar P79 consists of a base that is bonded to the hull and filled with liquid. The separate transducer then attaches to the base with a twist lock. The sound waves travel more efficiently though the liquid, giving the best possible performance. Compatible with Garmin units with 8-pin transducer connector. 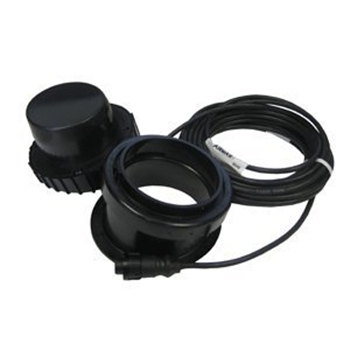 Garmin's 010-11612-00 adapter allows you to connect newer 8-pin transducers to Garmin GPS Units that require a 6-pin connector.